Goods news! 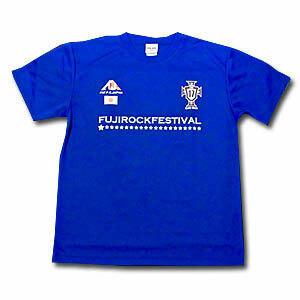 Official FUJI ROCK merchandise and GAN-BAN collabo Tee here now! 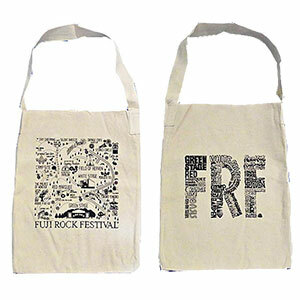 This tote bag made from thick canvas features the festival venue map and stage names. This new shoulder tote fits LP's perfectly! 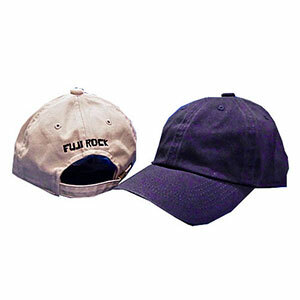 This 100% cotton ball cap features the festival name "Fuji Rock" stich. Perfect for the season! The ever popular Fuji Rock x Gan-Ban soccer tee is back again featuring the number 17 on the back along with the Japanese flag and stars. Made from 100% polyester and lined with a fast drying mesh and UV protection makes this shirt perfect for the outdoors. Size：XS / S / M / L / XL ("Nadeshiko Pink" available in women's Extra Small and Small sizes!